What Goes on Inside Prison? What goes on inside prison? We know what goes on inside a hospital. The public can visit their friends and family easily. They don’t have to fill out papers ahead of time, they don’t need clearance by the police. The authorities place hospitals near where people live and they make the visiting hours convenient. Cameras observe you in the visiting room. The chairs are attached to the tables so you can’t move them around and sit where you want. Each table has a microphone in it, so everything you say is recorded. Compare this to a Mexican prison. My friend, Mike Oulton, spent two years in such a prison. He tells how families used to come into the prison, wives and children, and they brought meals with them. Since Mike had no family in Mexico, they often invited him to join in family celebrations. Despite what they say, prison officials don’t want the public in their prisons. 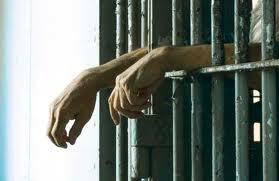 The way they have it now is good – only the convicts see what they do and who listens to convicts? Even though the public is paying for the prisons, they can’t get in to see them. Officials feel that as long as no one escapes, then there’s nothing to worry about. Never mind that millions of dollars are spent for rehabilitation, which never happens. We’re paying for an inefficient bureaucracy to care for the men and women in prison. What can we do to change things? As I watch the prison being built out in what used to be part of the yard draw close to its completion, I wonder to myself what kinds of opportunities are being squandered with the construction of this new warehouse parked outside the old warehouse. The government takes the view that its about enhancing the capacity of prisons to deal with the influx of new inmates that are sure to come into the system as a result of their tough on crime legislation. Let’s overlook the fact that the projected numbers of new inmates are yet to be seen and that Mr. Toews himself has admitted that they are not seeing the numbers that they are planning for by constructing new prisons inside the old prisons. Let’s just look at squandered opportunities and not at squandered taxpayer money. So many things could be done with a new space and a new idea but instead the government is just building another cell block. What if it was built with some new ideas in mind, like rehabilitation and preparing inmates for their eventual reintegration. It could have been built with classrooms so that inmates could do evening programming and school but that would require some really forward thinking on the part of our justice minister and the government. Think about a computer lab so that inmates could learn how to use a computer, a tool that has now become an almost essential part of life out in the community. Of course we have computers in the library like the one I am writing this piece with but there is no internet and the computers that we have access to are, in essence, typewriters do to the restrictions put in place. The prison administration says that internet access is a risk to security and therefore an inmate can’t have access to the internet, even restricted access for educational purposes. I know this, because I lost the argument with Ottawa for supervised restricted access to a university site while I was doing a university course that I had paid for. So much for helping someone do something to improve themselves that isn’t part of the prison system’s correctional planning. 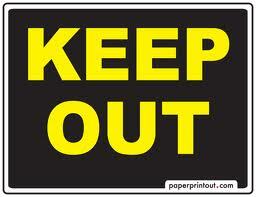 Apparently there is no one in the the administration that can figure out how to restrict access. Maybe they need to hire some smarter people. Think about what kind of person you would want released from prison. Is it someone whom you believe has the skills and the preparation to meet the challenges of life outside of prison, or is it someone who has just whiled away his time sitting in his cell watching the latest batch of reality TV shows to come out this season? Prison is a unique culture – a culture no expects to be part of. 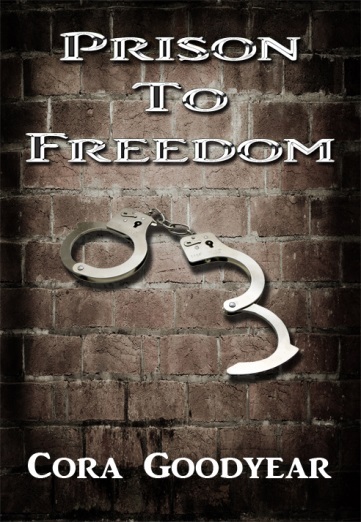 The author has attempted to give the reader some insight into prisoners – their emotions, obstacles they encounter and some personal changes necessary for them to become contributing members of society. The author believes in the majority of cases people who have broken the law would be better served in the community with rehabilitation and restorative programs – than by imprisonment. The book is fictional but the author has utilized her personal experiences of volunteering and working for eighteen years in Provincial & Federal prisons. The book tells the stories of Laura, a woman first arrested in Vancouver who goes through the Provincial and Federal Justice Systems and Daphne, another three-time Federal prisoner. An institutional parole officer gives Daphne the journal Laura had written while in prison, hoping she will gain insight along her road to redemption. The book price is $18 (plus shipping).